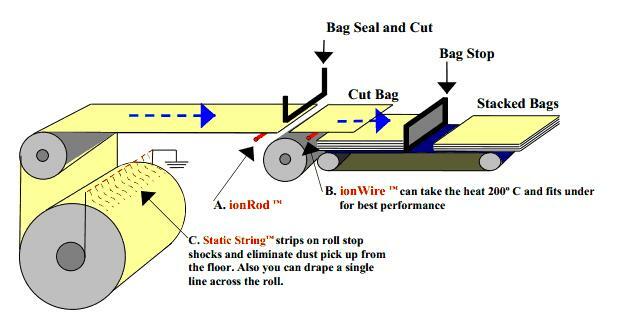 Place StaticString™ on unwind as shown so the StaticString™ stays close to the winding roll as it changes in diameter. This placement stops shocks and also prevents dust pickup from the floor. The Problem: We have a relatively new Lantech automatic shrink wrapper on which the film gets so much static it pulls itself off the end of the film spreading/opening frame. 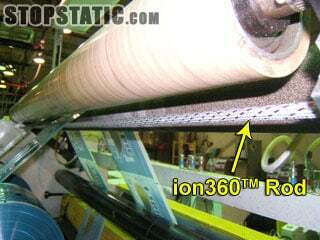 Solution: We’ve been using the Ion360™ Rod and have been doing pretty well. In fact, I’ve not heard of static being an issue for quite some time. (It is funny how you tend to forget about things if they are working). 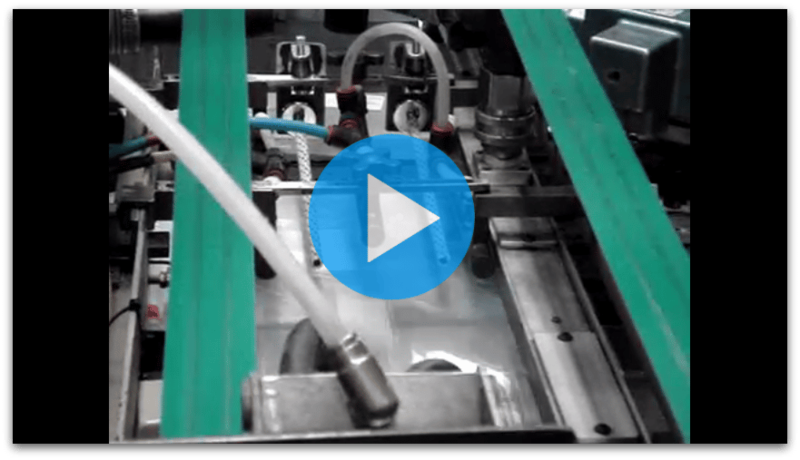 Problem: Static on laminators and slitters can ignite solvents, attract dust and shock operators. Solution: See diagrams below. Place StaticString™, StaticElastic™ and Ion360™ Rods as shown.